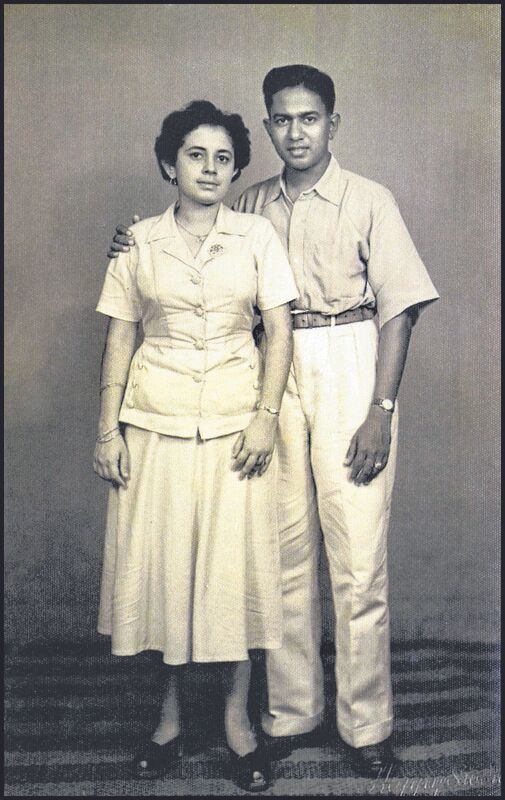 Former Singapore president S R Nathan, who has just turned 89, is declaring once again his love to the woman he courted for 16 years before marrying her in 1958. He has dedicated his new book, 50 Stories From My Life, to his wife Urmila Nathan, or Umi, as he fondly calls her. Some 55 years after a wedding, two children and three grandchildren, Mr Nathan glows when talking about his wife in an interview at his office in the Singapore Management University. Their love story is one chapter in his new 184-page book. Written for younger readers, the stories have been extracted from his much thicker 672-page memoir, Unexpected Journey. Born poor, he pulled through a tough life as a destitute and survived the Japanese Occupation. Armed with a university diploma in social studies, he worked his way up the career ladder as a mediator in union disputes, a diplomat, the executive chairman of The Straits Times Press and a two-term president of Singapore. 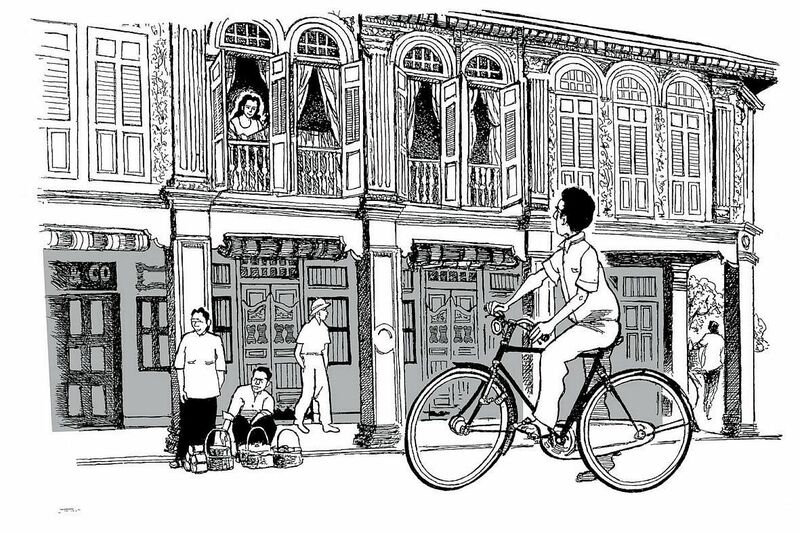 In pages on the only romance of his life, Mr Nathan writes about how his gaze first fell on his future wife when he cycled past her two-storey house in Muar. Cupid’s arrow found his heart when he saw a girl standing by the window on the upper level. He was running errands on his bicycle for the Japanese who had occupied Malaya and the region in 1942. He was 18 then and she, 13. “She was very attractive and I was on cloud nine. Umi took a fascination to me,” he chuckles. When asked to describe what love is, Mr Nathan ponders for a long while and replies: “It’s difficult to describe love. He saw her daily while running errands for the Japanese. “I possessed only one good shirt at that time. It was mauve in colour, and it made quite an impression on Umi, or so she tells me,” he lets on. Their courtship was one of persistence against the odds. He was a Tamil and she a Bengali, two different Indian language groups. He felt her parents would have wanted a well-educated Bengali suitor, ideally a lawyer or a doctor, and he was neither. Even when they met in her home, they could not display their affection and chemistry. They kept their serious romance under wraps from her father who had a tendency to smash plates when his temper flared. “It was a very difficult time in our lives. “She even tried to discourage me from pursuing her by showing her anger against me. But I never gave up,” says Mr Nathan. The toughest test of their courtship took place in 1952 when Mrs Nathan left for a two-year teacher-training course in Britain. “Her leaving was very painful,” recalls Mr Nathan. “We parted tearfully,” he says, adding that he cried all the way back to Singapore. On married life, he says they do quarrel, even on petty matters, but sort out their problems by the next morning. Guided by old-fashioned values of hard work, courage, loyalty and duty to a higher course, Mr Nathan adds one more to his list – faith. When asked what were the factors responsible for his personal achievements, he points his finger skywards and gives credit to God. He choked on his emotions when he spoke of how he could not let down Singapore leaders like Goh Keng Swee and Lee Kuan Yew who entrusted him with key public sector duties, even though he was only a diploma holder. “I could never betray their trust in me,” he says. These values and the reasons for Singapore’s success, he feels, need to be understood by the young and that is why he has donated 2,000 copies of his book to the Education Ministry to distribute to school libraries across the island. Institute of Technical Education student Fu Qihui, 21, has not read Mr Nathan’s biography as it was too thick. After the launch this Thursday, the book will be available in leading bookstores. Each copy costs $18.60 before GST.